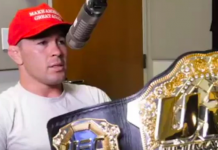 Colby Covington is going to fight wise grappling wizard Demian Maia before October ends at Fight Night 119, but that’s not stopping him for picking fights with any other fighter. He’s on a mission to let everyone know it’s his division. 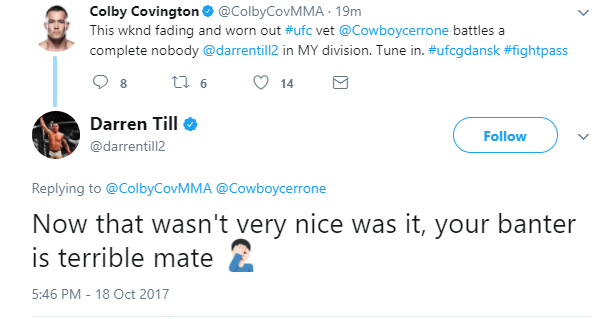 Darren Till is out here just minding his own business, about to trade shots with Donald Cerrone on Saturday, until he’s dragged into this tweet by Covington. 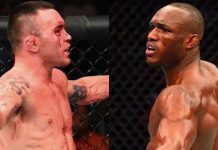 Hide your top five, hide your top 10, because everyone is trying to fight everyone around the welterweight division. 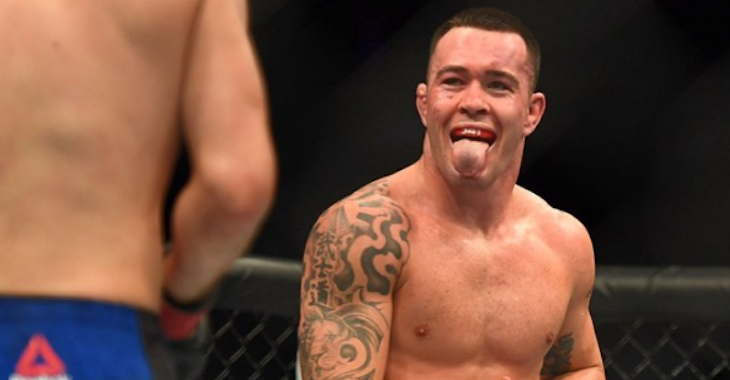 Darren Till already had his eyes set on challenging heavy-hitter Mike Perry if he takes out Cerrone, but he may change his mind after Colby Covington’s comment. He’s not currently ranked, but he skyrockets in the rankings with a win over the Cowboy. 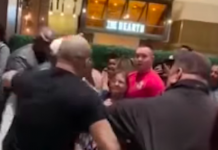 This could land him in a position where other guys are going to want to stop his jump, which seams to be the whole narrative of the welterweight division right now. 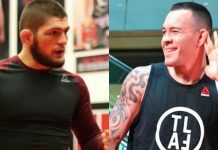 At number eight, Covington is hoping a win over the last title challenger will get him closer to a title shot. Mike Perry just crept into the last slot of the rankings, challenging ninth-ranked Ponzinibbio. 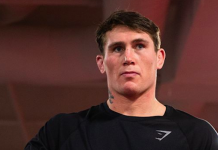 Darren Till could go from a relative unknown, to jumping close to Colby Covington in the standings. 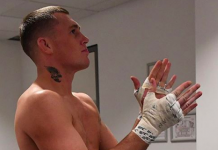 Unranked to inside the top 10, that’s not bad for Darren Till.